Our Lady’s Hospital for Sick Children, Crumlin, Dublin 12, Ireland Wonderful and beautifully illustrated, this book is quite simply long overdue in our paediatric wards and GP surgeries! It is an essential tool for preparing and helping you and your child through the anxious moments of blood sampling. Edinburgh In developing this book I hope that by reading it together with your child, using ‘Magic Cream’ and a small amount of bribery, will enable young children to have blood tests with minimum upset. Beautifully illustrated - It was a great help for my daughter’s pre-school jabs. publisher, Dorling Kindersley, Strand, London. It’s very nicely produced – lift-the flap can be tricky to do and this is very good. The content is well-focused – a result, I’m sure of you having first-hand experience of this situation. The book is very gentle and thoughtful, which is exactly right in this context – but with the right amount of fun and intrigue to keep the child turning the pages. Helps take the fear away for parent and child – another piece in the armoury for telling children what to expect and not to be frightened. Brilliant! Play and reading are a perfect way to help children with a new situation. Practice Nurse, Lothian Health, Scotland. Children who come for vaccination unprepared are always more distressed. 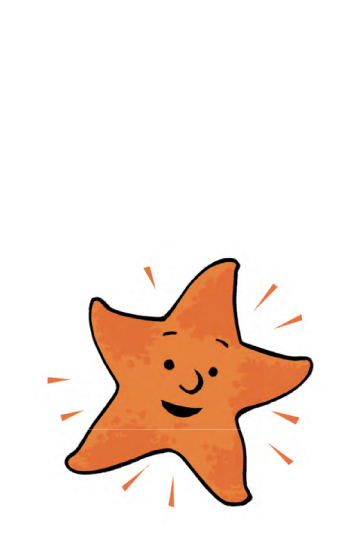 'Sandy the Starfish' is an excellent way for parents to discuss what will happen and makes the procedure more relaxed for the child, parents and the staff. Woodmac, Edinburgh. Remember parents when you were kids and detested the visit to the doctor, particularly for anything involving needles! If so you must read Sandy Starfish to your kids so that they don't have to go through the same anxiety. Its a lovely book which kids will be drawn to and which can really help parent's prepare the kids for the dreaded visit to the Docs office. I enjoyed it so much, I have begun to include it with all my newborn gifts.